Over the past three months, Sago Sago has released four great apps under Sago Mini series. Today they are releasing the fifth app in the series: Sago Mini Pet Cafe. It consists of three mini games suitable for juniors as young as one-year-olds. Sago Mini Pet Cafe is a suite of three mini games suitable for young kids. 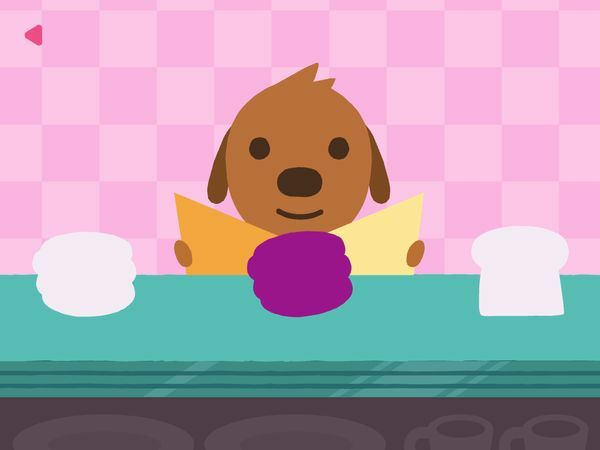 When you start the app, you will see three adorable Sago Mini characters around the serving table of Pet Cafe. Tapping on any of them leads you to play mini games. Tap Jinja the cat to play counting and color matching, Harvey the dog to play shape matching, and Robin the bird to play color mixing. In Jinja's game, you're asked to drag meals onto a tray. A number on the left hand side keeps tally of the meals. You will also hear a narrator's voice counting from 1 to 10 as you drag each meal. Once the tray is full, it's time to feed the pets with meals of matching colors. For example, orange meal is meant for Jinja, whereas brown and red meals are meant for Harvey and Robin respectively. In Harvey's game, you're asked to match a food's shape with the silhouettes on both ends of the table. Drag the food to the matching silhouette, or tilt your iPad to let the food slide to the correct end of the table. Once the food matches the silhouette, Harvey will eat it. The game continues until you have matched three foods for Harvey. Then, Jinja and Robin will take Harvey's place to play the same game with you. In Robin's game, you can create your own smoothie mix. Tap any of the three colored buttons to add the colored smoothie that you want. Tap two or more buttons to create a new color. For example, tapping the blue and yellow buttons at the same time yields green smoothie, and tapping all three buttons yields brown smoothie. Once the glass is full, you will see Jinja, Harvey, and Robin gather around to slurp the smoothie. Tap and hold a pet to start drinking. You can also have two or three pets drink together. Keep in mind that if you hold your taps for too long, they could get a brain freeze. Pet Cafe is suitable for juniors ages two or younger. The games are designed to be universal, intuitive, and fun. Juniors are not required to read any text to play the games. Similar to Sago Mini Doodlecast, Pet Cafe also offers narration 15 different languages. I tried changing it to Bahasa Indonesia, and the narrator sounds great in the counting game. The games in Pet Cafe are well-designed. You can spot subtle visual hints that help first-timers figure out how to play the games. For example, when you tap and hold a meal in the color matching game, the pet with matching color will stand up. You can also use the counting games to learn how to count down from 10 to 1. Each time you feed a meal to an animal, the number is decremented. You can tap the number to hear it pronounced so you can also use the app to learn how to count in other languages. 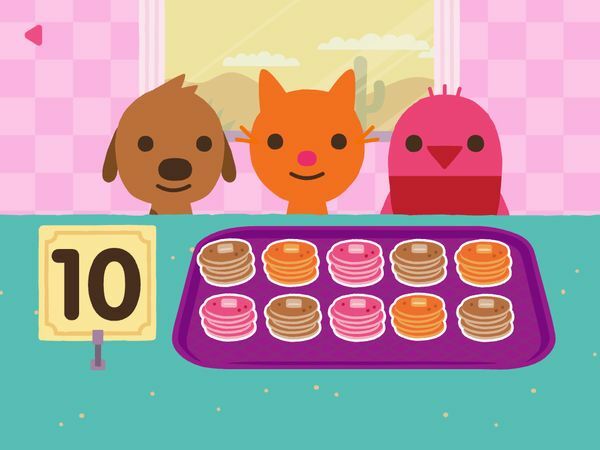 Sago Mini Pet Cafe is a great app for juniors to learn how to count, match, and mix colors. The games are well-designed, universal, and intuitive. My sons had a lot of fun playing it over the weekend. Get Sago Mini Pet Cafe on the App Store. Thanks to the wonderful folks at Sago Sago for sharing the app with us. My sons love to create rainbow smoothies and see the pets getting brain freeze. Wombi Ice Cream. Run your own ice cream truck and create delicious frozen treats. Toca Store. Fun toy app teaches little ones to run a shop. Kid e-Cook. Cute little app teaches kids to cook.